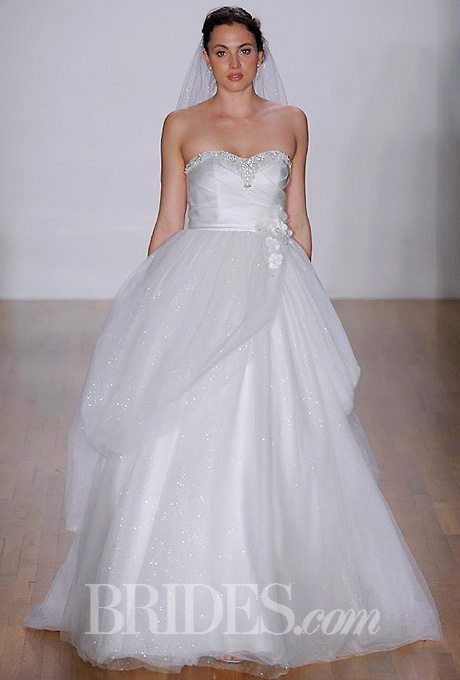 Don’t be afraid to sparkle and shine down the runway of your vow renewal. When you’re re-committing yourself to your lifelong love, why not add a bit of shimmer to the day? Check out these beautiful, and glittering designs! If you didn’t get a chance to wear a ball gown the first time around, try something sparkly and princess-like for this celebration. 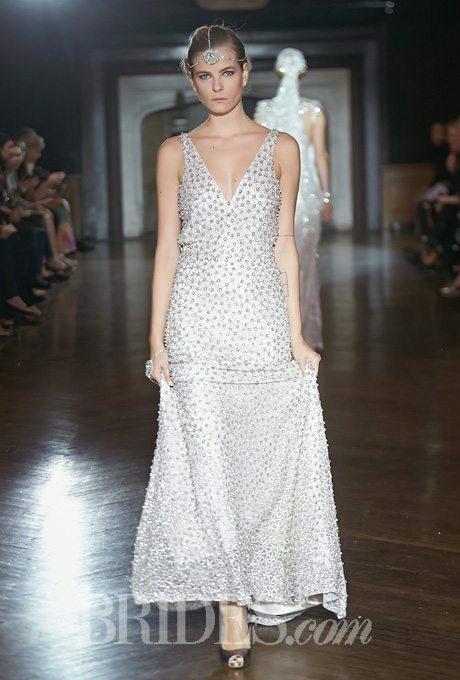 This dress looks like pieces of sparkling mirror were sewn right into. We love the texture, we love the details and of course we love the shine. There’s something so romantic and reminiscent of a snowy day about this beautiful design. Again, we love the play on textures and we love that you’ll sparkle in this gown whether you’re dancing or just chatting with the guests! You don’t have to be full of beads to sparkle, instead the right kinds of fabric can have you glittering all night. 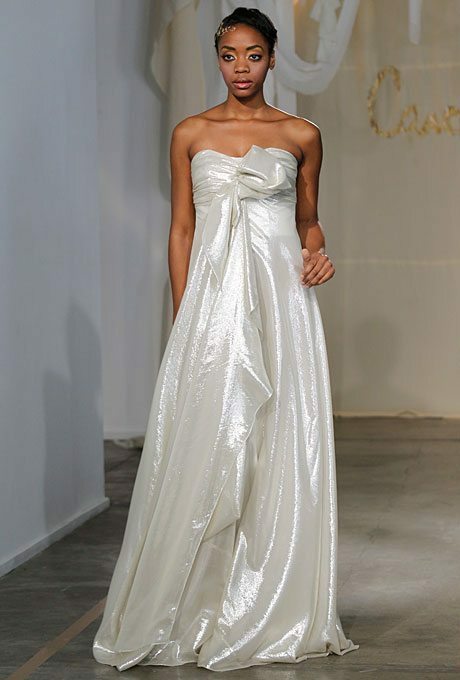 A sophisticated fit and just the right about of embellishments to have you shining down the aisle. 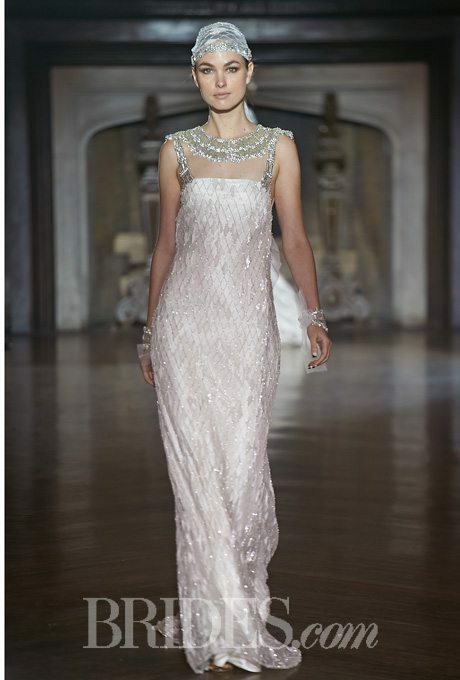 Art decor-inspired, this gown is a wonderful piece of work and will make you feel like you’re walking the red carpet. If you’re looking for something playful, sassy and a bit outside-the-box, try on this super youthful number! 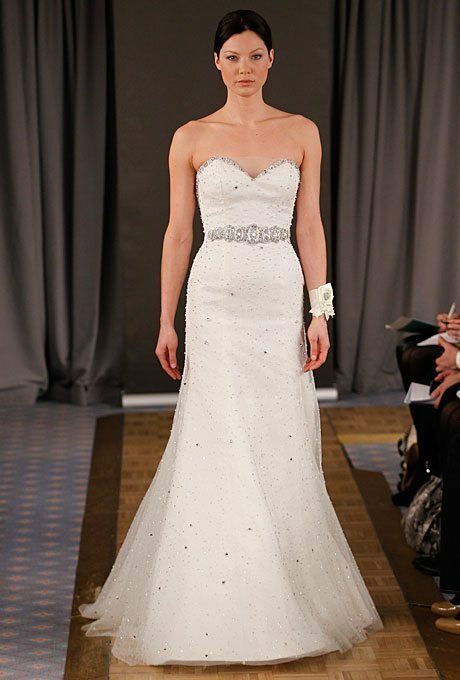 Another classy, elegant gown, you’ll sparkle and feel like a bride all over again. 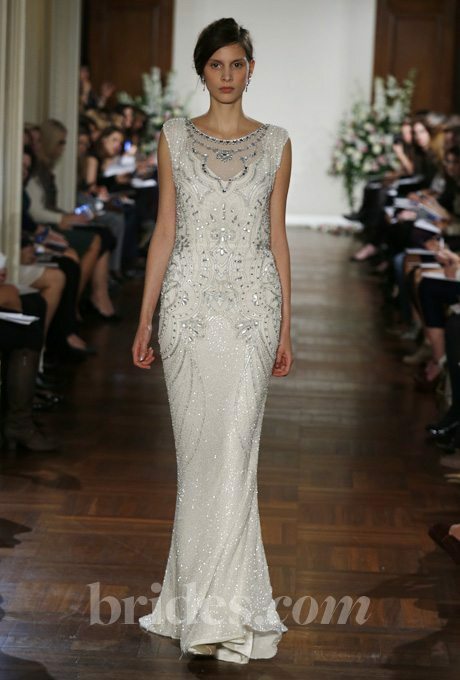 Beaded Wedding Gowns that WOW!